We have so much to be thankful for. God you are so good. 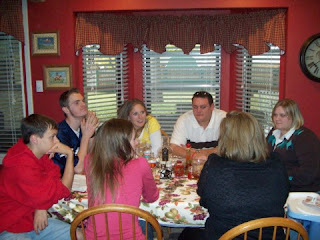 We are thankful for an amazing family whom we love so much. Thank you, especially to my incredible parents, for always being there for us and supporting us in whatever we do. We are thankful for our CityView Church family and such special friends, being able to do life with you is a huge blessing. Words cannot describe our thankfulness for our precious daughter and the upcoming meeting of our son. We are so blessed. 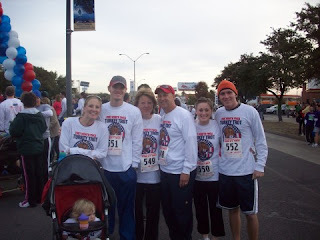 This year, we got up early and went downtown Fort Worth to join the crowd of 10,000 for the 27th annual Turkey Trot! 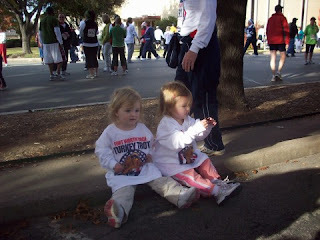 It was so much fun (even though my sister said she was cursing me for having the idea when her alarm went off that morning!) 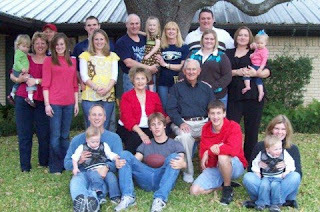 Then, we all headed to Stephenville to my uncle's house, where we enjoyed a whole day of family, eating, a Cowboys victory, and reflecting on how much we have to be thankful for! 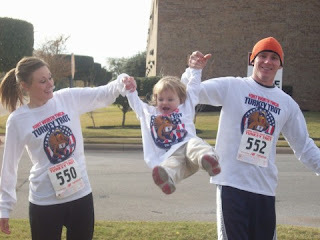 Tabe, looks like you had a great Thanksgiving!! 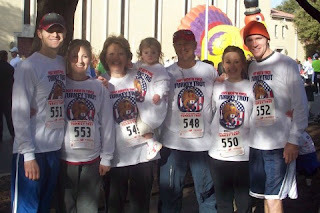 I did the Turkey Trot last year and although it was super early, it was so much fun!! You look so great!